Welcome back to the PGA DFS: Vegas Report. Tiger Woods regained his roar at the 2019 Masters, capturing his fifth career green jacket and first major since 2008. Woods has been apart of countless symbolic moments in his career, but the scenes from Sunday may have been the greatest four minutes in not only his career but also in the history of any sport. While it is often common to see overreactions from the public immediately following an event, I don't believe my comment is just hyperbole. Tiger's victory measures much beyond a green jacket and far surpasses another tally mark for the now 81-time PGA Tour winner. Instead, the triumph becomes a rallying cry for anyone who has ever been counted out in their life and provides hope for millions of people around the globe. Through all the transgressions and injuries that Woods has had to overcome over the past 10 years, Augusta National was not only an emergence from the dead, but it was an illustration of everything Woods used to be for golf and everything that he is now, both on and off the course. Our betting card featured a plethora of close calls, including a second-place showing from Dustin Johnson, a day one lead from Bryson DeChambeau, a Thursday night add of Jason Day (resulting in a fifth-place result) and top-12 finishes from Bubba Watson and Justin Thomas. Overall, those five players turned out to be great DFS plays, even if they weren't able to find the winner's circle. On a more positive note, Bubba Watson (-115) was able to get the job done over Louis Oosthuizen in our head-to-head play of the week, moving our record to (12-4-2) on the year for 9.27 units of profit. In 2018, we were able to go (46-24-2) with a much bigger weekly card than we have featured lately, but I have liked being able to condense down the selections and go into greater detail of why I believe the play is a successful one long-term. With the RBC Heritage on tap, let's dive into some value plays we will be targeting at Harbour Town. 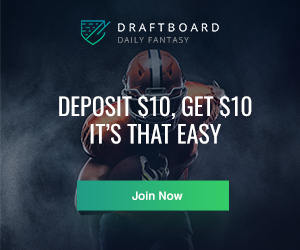 For an in-depth breakdown of the top DraftKings and Fanduel plays, check out Joe Nicely's weekly Horse For The Course that highlights the best fits for the week's course. With the Masters in the rearview mirror, you would expect a much weaker field than we are receiving for this year's RBC Heritage. One hundred thirty-two players will be teeing it up, including the likes of Dustin Johnson, Bryson DeChambeau, Francesco Molinari, Tommy Fleetwood, Xander Schauffele, Jordan Spieth and Patrick Cantlay. Not bad, if I do say so myself. Harbour Town is a Pete Dye course that was built in 1969. Jack Nicklaus helped to assist on the project, making it the first course that he ever worked on from a design standpoint. The venue only measures slightly under 7,100 yards, but it features all the usual Dye quirks that you would expect. The tree-lined fairways help to disguise some of the heavy wind, but the Coastal track is unforgiving with wind and sand traps always in play. Narrow fairways put a heavy emphasis on finding the short grass off the tee, and it is one of the many reasons why the least amount of drives over 300 yards and lowest driving distance on tour always come at Harbour Town. Precision iron play will be at a premium, although scrambling around the greens will be needed with the venue featuring some of the smallest greens on tour. The field only hits the putting surface 58 percent of the time, making it one of the lowest GIR rates of any course. 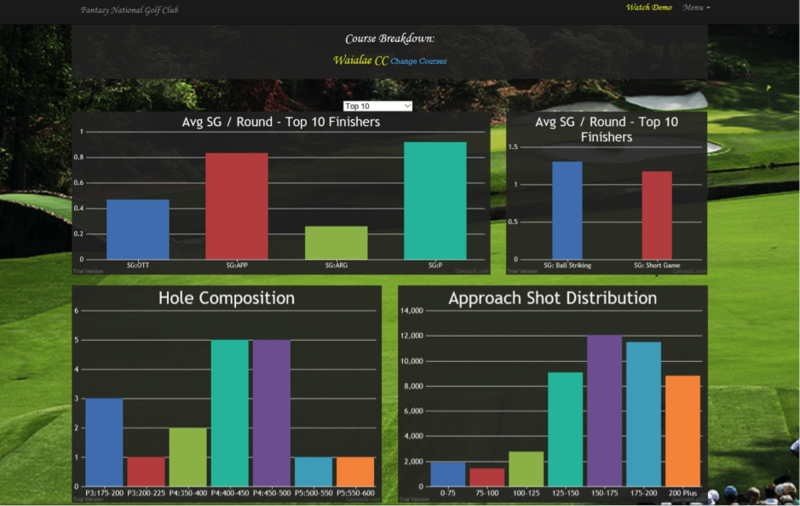 There are four par-threes that range between 175-200 yards and none yield higher than a 13.4 percent birdie percentage. On top of that, even though all three par-fives are reachable in two shots, the small greens cause less than a 2.5 percent eagle rate. Par-four scoring will be needed with 11 holes landing between that total, and golfers that can create opportunities should be rewarded much more frequently. The last two winners of the tournament have been Satoshi Kodaira and Wesley Bryan, but we should slightly temper those expectations with the quality of the field that we are receiving this season. I believe there are a handful of longshots that have a chance, but let's not get confused, this is the best collection of players that this tournament has seen in a handful of years. Still, though, the top of the board is difficult to back because of their odds, and I would prefer to take my shots down the list this weekend. If Dustin Johnson wins, at least we won't be that heavily invested. I normally advocate against betting every name listed in the article, but this is one of the weeks where you theoretically could. I'd still prefer to mix and match to limit my exposure, but it not that hard to fit in all eight golfers listed below for around one unit in total. Byeong Hun An is a tricky golfer to decide what to do with this weekend. On the one hand, he enters the week ranked first compared to the field in strokes gained tee to green during the calendar season and also comes in rated first in strokes gained around the green. However, An is currently projected to be the second highest owned player on DraftKings, and that is usually something that I would prefer to avoid if I could. When we dive a little deeper into why the South Korean hasn't found more success lately, we don't have to look any further than his putting. An isn't just bad with his short stick; he is downright broken. I mean the kind of defectiveness that might seriously be unable to be fixed. To put it into perspective, the 27-year-old has lost strokes on the greens in eight of his previous nine trackable events, but it is the sheer volume of strokes that he loses per tournament that raises an eyebrow. 9.2 strokes lost during WGC-Bridgestone, 5.6 at the Honda and even 6.0 at the Valero Texas Open - a tournament that saw him come in seventh place, despite the inadequacies with his putter. All of this isn't necessarily encouraging, but the fact that An was able to post a top-10 while losing six strokes on the greens is one of the most remarkable things that I have ever seen. An's putter is an average week away from getting him into the winner's circle for the first time in his PGA Tour career, but the question becomes: What is average for the 55th-ranked player in the world? For the sake of congruity, I will assume standard is losing around a stroke or two on the putting surface for an event, but even that might be good enough to compete for a title. I don't care for An's nearly 20 percent projected ownership on DraftKings but will be giving him one last shot on my outright ticket. His irons will provide a surplus of opportunities, and his around the green game should salvage a ton of his mistakes. I attended UNLV for college - as did Ryan Moore, and there is something that most people fail to realize who don't live in Las Vegas. The town can get EXTREMELY windy. Yes, we get remarkably warm weather during the summer, but the winters are relatively cold, and the wind can be intense for most months of the year. All of that makes sense, considering we are a desert town, but Moore's experience in the wind should suit his chances this weekend at Harbour Town. The 36-year-old enters the week ranked 12th compared to the field in strokes gained approach and 21st in strokes gained putting. His ability to create opportunities and make the most of them with his flat stick should be on full display all week, and the five-time PGA Tour winner is slightly underpriced on DraftKings when we consider all those factors. His $8,100 price tag places him as the 21st most expensive player, which helps to explain his nearly 17.8 percent projected ownership. We have to be careful with overexposing ourselves with an overabundance of public plays, but Moore's upside and price tag will make him difficult to ignore this weekend. The board is weird this week because we have most of the golfers over $9,400 coming in with lower ownership than expected. 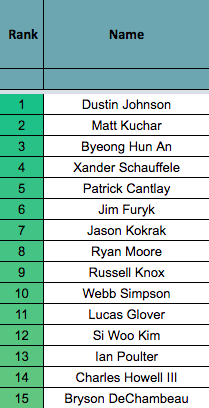 If you avoid Matt Kuchar, you are left with a handful of moderately contrarian selections for your next six options. That breakdown makes me worry that one of the six studs (Dustin Johnson, Francesco Molinari, Xander Schauffele, Bryson DeChambeau, Patrick Cantlay or Jordan Spieth) will win the event, and unfortunately, that that leaves us with a better DFS contest than a betting event. 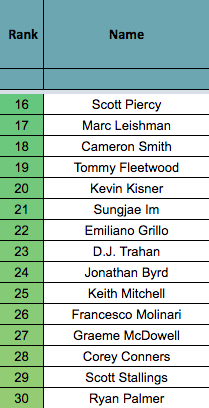 I'd add Tommy Fleetwood and Webb Simpson into the mix of contenders too, but it shows where we might be able to gain an advantage on DraftKings. I won't be having much ownership of Molinari or Spieth, but I believe any of those other options mixed with players such as Russell Knox, Byeong Hun An or Ryan Moore is a great way to begin your lineup construction at the very top. I could make a case for practically any of the combinations mentioned above, but my point is that eating the chalk isn't necessarily a negative when you can still figure out a way to be unique. 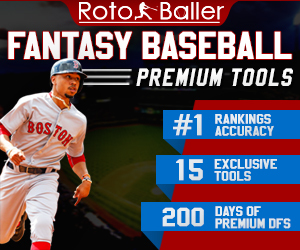 While all that works for DFS, it can still be used in sports betting. I wouldn't feel comfortable making a full card of nothing but public plays, but there is room to fit in a couple of those selections if your research is leading you in that direction. Knox is currently projected to be 17.7% owned on DraftKings and is priced at $7,700, but his course history is hard to ignore. The Scottish golfer has recorded four top-18 finishes in his last five trips to Harbour Town, including a second-place showing in 2016. We could go back and forth on what is and isn't value, but when most futures markets are being priced to 145 percent or beyond, we have to stretch certain factors to find value on a card. Knox's career doesn't scream 55/1 as being a long-term winning wager, but Habour Town's wind and strategic nature will suit his game, and he deserves a bump up in the odds this weekend. There is so much to like about Cameron Smith this weekend, but I believe most DFS players will gloss right over his name. The Australian enters the RBC Heritage with virtually no form, at least that is how it would seem without breaking down the situation a little closer. If we dive into his past four events, we don't have much reason for optimism. Smith struggled with a 51st place showing at the Masters, was (0-3) in the WGC-Match Play, finished 56th at the Players Championship and missed the cut at the Honda Classic. I know none of this is making you change your opinion on the 25-year-old quite yet, so let's look into some of the positives. Smith is the 11th highest ranked player in the field, coming into the week as the 29th-ranked golfer in the world, but his odds of 55/1 place him 24th in the betting market. Similarly, Smith is the 23rd priced player on DraftKings and 22nd on FanDuel. I realize that isn't exactly a direct correlation for success, but we can see that the market has overreacted to his past few events. When we look at the quality of tournaments that the one-time PGA Tour player has grappled with recently, we can exclude the WGC-Match Play result entirely. Sure, it is not good that he couldn't win a match, but that is an event that is known to provide inconsistency. On top of that, his display during last week's Masters and at the Players Championship one month ago shouldn't be a cause for concern either. Those are two of the most significant events in the world, and it is not like Smith failed to make the weekend in either tournament. That leaves us with his missed cut at the Honda Classic, which is probably his most unforgivable result in 2019 but still provides a reason for optimism. After shooting a Thursday 68, Smith imploded with a Friday 79 to miss the weekend. To me, one lousy round has bumped the youngster's odds up nearly 20 points higher than what is optimal. Smith has played Harbour Town three times in his career, notching three top-32 finishes. The venue highlights the majority of his strengths while masking some of his flaws off the tee. During the 2019 season, Smith ranks 12th in strokes gained around the green, 8th in sand save percentage, 10th in putting and 23rd in strokes gained approach. His most significant concern has been with his driver, where he ranks 106th in strokes gained off the tee and 89th in driving accuracy. The positive news around that is Harbour Town is a second shot course that forces all players to lay up off the tee and pick their spots. The fairways are narrow, but drivers are not at a premium, and most tee shots will be hit with something much less than a driver to get things started. 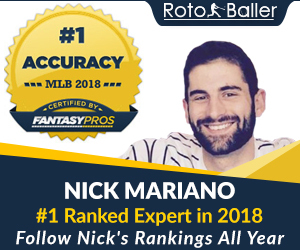 The Australian's $7,900 price tag on DraftKings and five percent projected ownership make him a fabulous contrarian option, and his 55/1 outright price should be heavily considered for the value that it presents. Grace missed the event last season because of the birth of his child, and his "poor" current form is allowing the South African to fly into the week under-the-radar and out of sight. It is not so much that the 30-year-old is playing poorly, but a lack of robust finishes in stroke play events since the Waste Management Open has somewhat limited his notoriety this weekend. Grace's $8,300 price tag on DraftKings makes him an affordable option, and his eight percent projected ownership is extraordinary - especially considering that Luke Donald is at about the same percentage after only having played three events this season. I get that there is a price difference between the two, but there is about the same incongruity in the other direction between Grace and Kuchar/Furyk. The only disparity there is that those two men are garnering around a 20 percent projected ownership percentage at nearly $10,000. Give me the discount in ownership and price on Grace, and I will be on my way. After missing four months last season with a thumb injury, Daniel Berger has failed to get all the way back to where he was before his layoff, but things are beginning to creep in the right direction. A second-place showing at the Puerto Rico Open in February was encouraging, but the 26-year-old has sputtered slightly over his past four events. Two missed cuts and two finishes outside of the top-35 is less than ideal, but Berger's talent is that of a top-25 player, and I believe too much weight has been attached to his poor recent run. Berger grew up in Plantation, Florida, which should make him well-equipped to handle Hilton Head's extreme gusts of wind, and the 81st-ranked player in the world has shown great ability on Pete Dye courses in the past. Over his past 39 rounds on Dye designs, Berger ranks second in strokes gained approach, seventh in GIR gained and ninth in par-four scoring. I realize he isn't fully back to where he was a year ago, but the two-time PGA Tour winner is too talented to be at 100/1, and I believe we see him re-emerge here shortly. Berger's $7,400 price tag on DraftKings and less than two percent projected ownership also makes him someone that you should heavily consider using in large-field GPP events. The upside is there for a breakthrough. While Scott Piercy isn't a UNLV product, he is a Las Vegas resident and is someone that knows how to play in the wind. Since 2014, Piercy has seen the 18th most considerable improvement on the PGA Tour in strokes gained total when the wind is at least 14 MPH for the day. That shouldn't necessarily come as a shock, but it does emphasize the fact that the American has an advantage over his competitors when the conditions turn for the worse. Piercy's game is ideally suited for Harbour Town. The 40-year-old is straight off the tee, can create opportunities in bunches and is an immaculate ball striker. The combination of those three skills sets him up perfectly for the venue, and his strength in par-four scoring only helps to amplify his chances. Putting will always be a concern for the four-time PGA Tour winner, but Hilton Head is a better set up than most places because everyone will be forced to execute the exact game that he plays every weekend of hitting their spots in the fairway. Piercy's $6,700 price tag and less than 3.5 percent projected ownership makes him one of my favorite plays of the week on DFS sites, and his 150/1 outright number is equally as enticing. Troy Merritt will be making just his fourth start of the 2019 calendar year. While absences are very rarely a positive thing, Merritt's was scarier than most. The 33-year-old had to have his top-left rib removed after being diagnosed with Thoracic outlet syndrome, a condition that ultimately led to a blood clot in his arm last year. Before his two missed cuts in Hawaii and Florida, the 196th-ranked player in the world had produced six straight made cuts to go along with a victory at the Barbasol Championship earlier in the season. It is tough to tell how Merritt is going to perform in just his second event back after undergoing such a potentially life-threatening scare, but he has shown great ability to maneuver around the greens, ranking 18th compared to the field. Merritt's odds are correct given all the uncertainty surrounding him, but his game does warrant heavy consideration at a price tag of $6,200 on DraftKings and 225/1 outright price. The American is projected to be around 1.9 percent owned and would make for a great story if he could deliver a run at the title this weekend. Another slow week on the head-to-head front. The vig has run away from us on most wagers, and I am not a fan of laying -140 juice on golf bets, even if there is a slight edge available. Tommy Fleetwood (+130) over Francesco Molinari (-150) is presenting the best value on the board and is a wager that I would have had closer to -110 on both sides. While a nine percent edge in implied probability is massive, I don't necessarily want to recommend a virtual coin flip as our bet of the week. I don't have an issue with anyone deciding to place a wager on the matchup because I do believe it has long-term value, but for the sake of our running total, I will be sitting this week out.